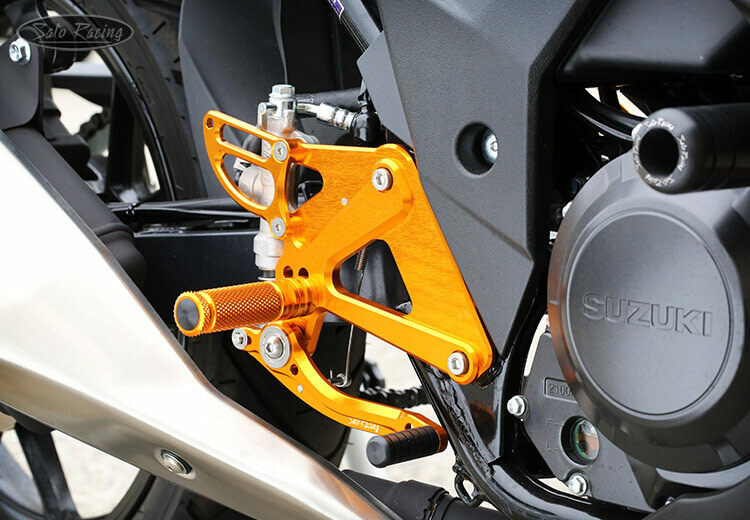 SATO RACING Rear Sets for 2017-18 Suzuki GSX250R are CNC-machined from high strength billet aluminum, with your choice of Black or Gold anodized finish. 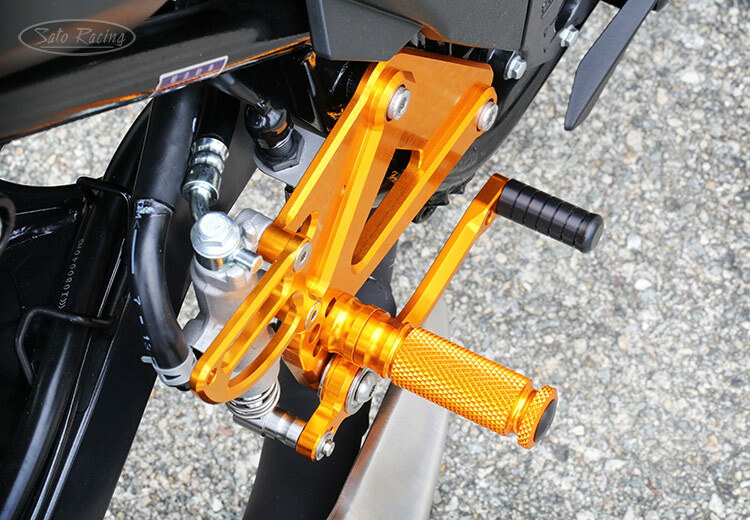 Provides 4 adjustable peg positions that bring your feet significantly higher up and further back compared to stock, for a more aggressive position that is ideal for spirited riding. 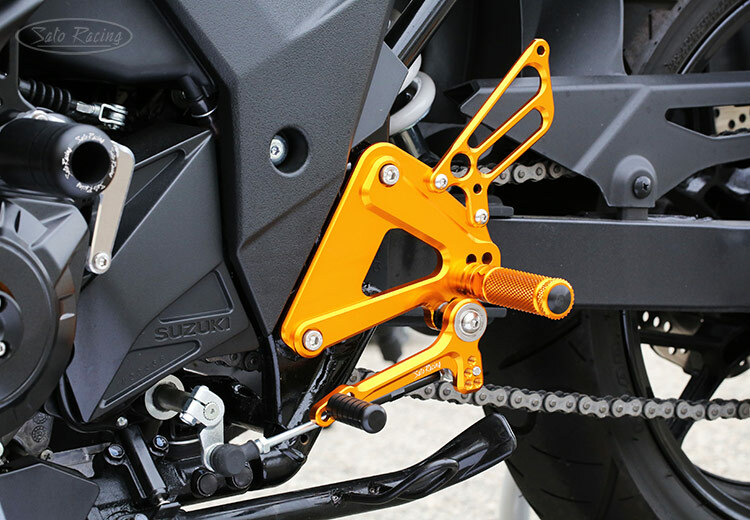 These Rear Sets utilize the stock shift arm hardware, providing a stock shifting pattern. 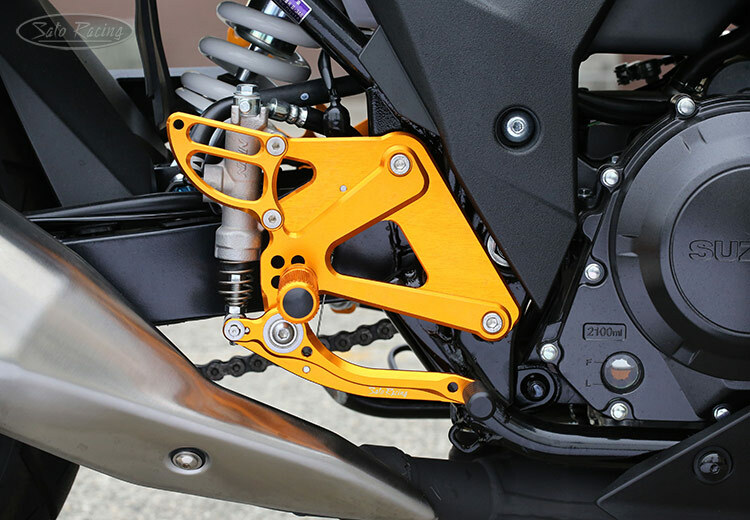 to your preference; The holes farthest to the center pivot would give it the shortest stroke. 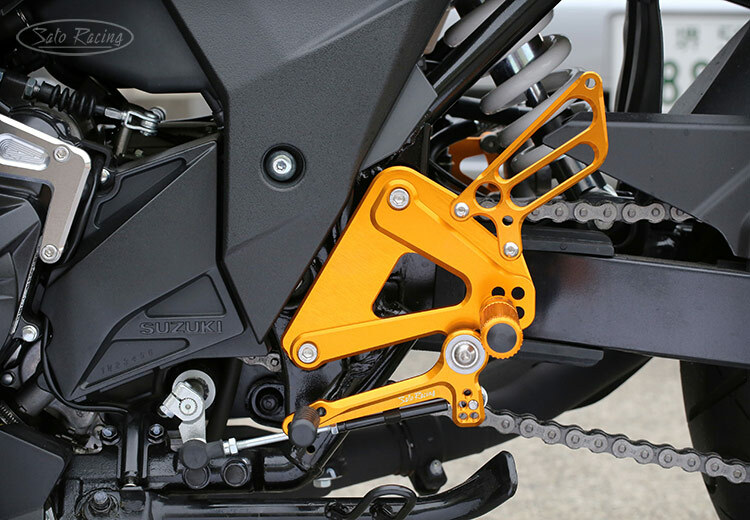 The clean, angular styling of these Rear Sets fits well with the style of the bike. 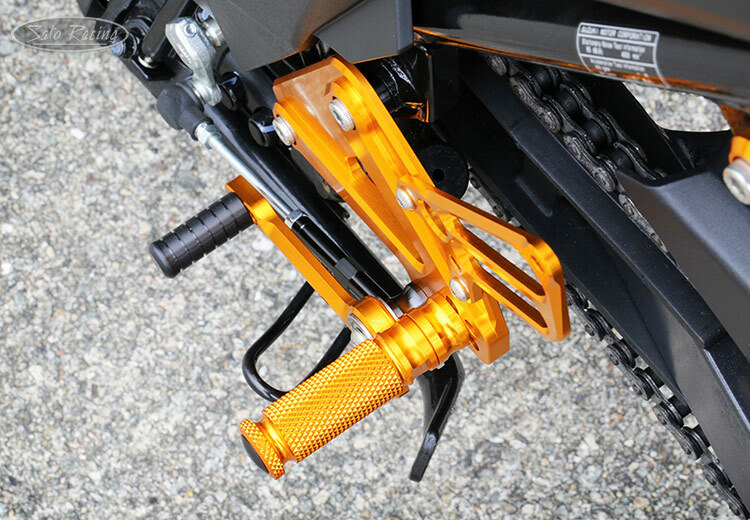 The Foot Pegs have a finely knurled pattern for non-slip grip along with a comfortable, intuitive feel.